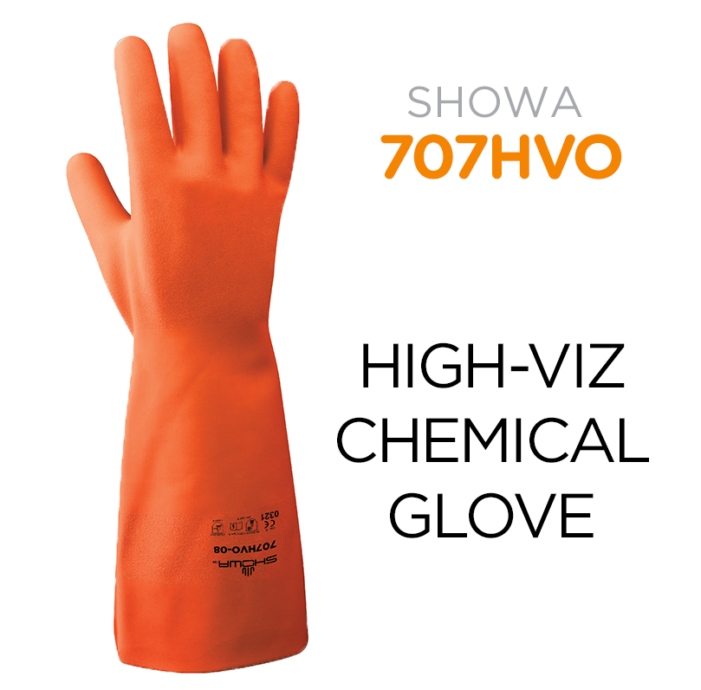 Showa 707HVO blends the best of single use and chemical resistant technology to deliver optimum fit, feel and comfort while protecting against chemicals. 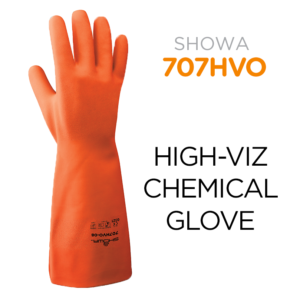 The inventors of the world’s first biodegradable single use nitrile glove now bring you a new addition to their biodegradable hand protection range: Showa 707HVO – a chemical resistant glove engineered with revolutionary Eco Best Technology (EBT), in high-visibility orange. Showa, which translates to “finding a balance between different elements” in Japanese, has paved the way in biodegradable innovation within the PPE glove market. Driven by the desire to make a positive impact on the planet, a large proportion of research is devoted to biodegradable products and to developing fibers that have no impact on the environment. In 2012, Showa’s Research & Development reached a major breakthrough with the invention of the world’s first biodegradable single-use nitrile glove. The 0.23mm thick unsupported, unlined biodegradable nitrile complies with EN ISO 374-1 (JKOPT) and 374-5, and is impermeable to protect against oils, hydrocarbons, grease, chemicals and abrasions. The 305mm long glove is chlorinated for easy donning and doffing, with a rolled cuff to prevent dirt from entering the glove. Typically to Showa, the gloves are manufactured using a unique hand former, allowing for a lightweight protection that fits like a second skin. The bisque finish on palm and fingers offers long-lasting grip and excellent tactility. Its fluorescent orange colour makes it highly visible and an excellent choice for food, janitorial or sanitation environments, or to separate applications on processing floors.